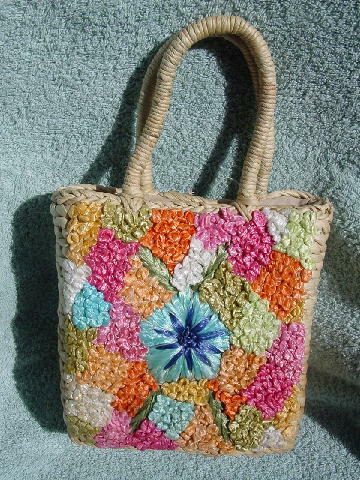 This natural color woven straw purse has a raffia design in the front. 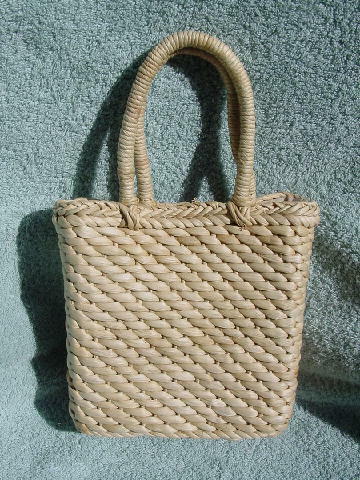 It has a dark bone lining and two 11 1/4" long woven straw handles. The front has a center flower in aqua and dark blue with 4 leaevs in light lime. The filler design pattern is in white, light olive, dark pink, medium pink, offwhite, orange, peach, golden maize, and light lime.